As a working parent, it is a feat to provide your kids with food that not only make them happy but also provides the right nutrition. Most picky kids will either eat what they like or won’t eat at all! Cooking healthy lunches for kids is, therefore, a big task in itself. In such cases, you can consider adding a flavoured fortified milk powder like Enfagrow A+ to provide the right nutrition in adequate quantities for your child. In addition, here a few recipes you can try! Rather than cooking the upma with semolina, try using vermicelli. It makes the dish a lot more interesting for the kids, while also providing healthy nutrition. 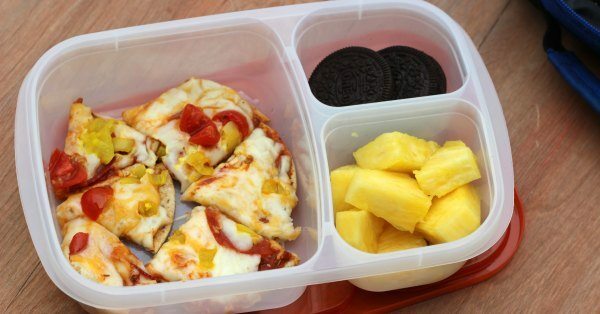 This quick and easy recipe is ideal for working parents who are short on time. Roast 2 cups of thin vermicelli for 3-4 minutes in a heated wok (kadhai) until it turns slightly golden. Once this is done, transfer it to a plate and set it aside. Now add 2 tbsp oil in the wok and let it heat. Then add 1 tbsp urad dal, 1 tbsp mustard and 1 tbsp cumin seeds. Let them sizzle a bit. Now, add a few chillies and curry leaves and sauté for 2 minutes. Add 1 sliced onion, turmeric powder and salt. Sauté for 2 minutes. Then you can add vegetables like carrots, peas and beans. Mix them and allow cook for 3-4 minutes. Now add ½ cup tomato puree, followed by 2 ½ cups of water, and bring to a boil. Add the roasted vermicelli to the wok and mix well. Put a lid on the wok and let it cook for 5-6 minutes until the water is dried up. You can garnish the dish with roasted peanuts and serve hot. Children love pizza! Even the ones who won’t eat their vegetables, don’t mind them as pizza toppings. So here’s a quick and healthy version of pizza that you can cook at home. Toast one side of a whole grain bread slice on a pan. Once it’s slightly crisp, transfer it to a plate and spread pasta sauce on the toasted side. Now sprinkle finely chopped onions, tomatoes, bell peppers, olives, corns and small cubes of paneer on the bread. Spread shredded mozzarella cheese on top of it. Now, place the bread on the pan again and cover it with a lid. Cook on a low flame for up to 4 minutes until the cheese melts. Your bread pizza is now ready to be served. You can sprinkle Italian seasonings and chilli flakes on it before serving. Also, try different vegetable toppings every time for an element of surprise. Preparing healthy lunches for kids with a tasty twist will go a long way in helping you expand your kid’s palate. While it is important to respect your child’s choices, you also need to provide them proper nutrition. These quick and easy recipes are the answer to all your concerns!